Inspired by questions of others and discussions amongst ourselves, we decided to write up a post dedicated to the matter of citizenship in relation to members of the Grand Ducal and Princely Families. While it is a rather straightforward question when it comes to the Princely Family of Liechtenstein, it gets a little more complicated when looking at the Grand Ducal Family of Luxembourg. 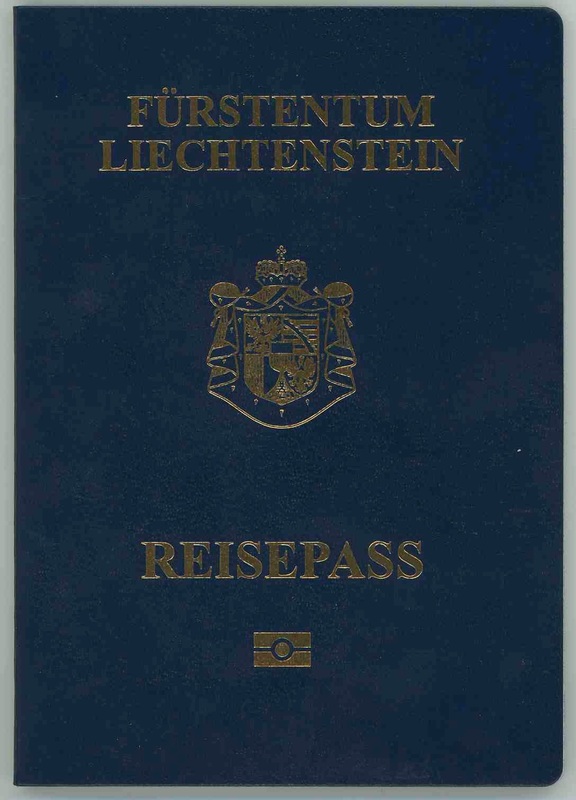 Article 3 of the Liechtenstein house law states that "all members of the House are Liechtenstein citizens, in accordance with the provisions of the Law of 1 September 1919". Said law states that all male-line descendants of Prince Johann I of Liechtenstein are citizens of the Principality. As females become members of the House upon (approved) marriage, they are also given citizenship. The current house law was introduced in 1993. Until 1986, every woman who married a Liechtenstein citizen automatically gained citizenship at the moment of the civil wedding. Though there is a seven year gap between the two laws based on which princesses by marriage gain citizenship, it seems very likely that even those who married between 1986 and 1993, became Liechtenstein nationals in some way; at the very least due to the law of 1993. In addition, the Liechtenstein house law states that "the Reigning Prince and the next descendant in the male line entitled to succeed to the throne may not acquire foreign citizenship. Any member succeeding to the throne must renounce any foreign citizenship acquired previously." All other members of the Family are allowed to renounce their citizenship but only if there are "substantial reasons" for such step and the Prince as head of the House must agree to the renunciation beforehand. Even though dual citizenship wasn't officially allowed at that time, it seems that some members of the Family have retained the citizenship they held prior to their wedding. For example, Princess Margaretha still seems to hold Luxembourgish citizenship as she still goes to vote in the Grand Duchy. Her children, however, seem to only hold citizenship of the Principality of Liechtenstein. It is interesting to note that prior to the end of the Austro-Hungarian Empire, Liechtenstein princes and princesses also held Austrian nationality (and some may still). In 1902, Emperor Franz Joseph I made it a condition that Prince Alois, grandfather of Prince Hans-Adam II, must renounce his Austrian citizenship prior to his wedding to Archduchess Elisabeth, niece of the Emperor, as she would not be allowed to marry one of his subjects. Some people even questioned whether their's was an equal union considering that the Liechtensteins had never actually lived in their Principality and did not take a great interest in it but Emperor Franz Joseph I made it quite clear that he considered them to be a ruling dynasty by attending the couple's wedding. At the time of the recent general elections in Luxembourg many people noticed that there was one person missing among the members of the Grand Ducal Family, Princess Claire. The wife of Prince Félix remains a German citizen for now. She is the first wife of a Prince of Luxembourg who did not gain Luxembourgish citizenship upon marriage. Although I cannot find any record indicating it, Grand Duke Adolph and his wife Grand Duchess Adelheid-Marie as well as their son Grand Duke Wilhelm IV must have been naturalised citizens of Luxembourg. Their country of origin, Nassau, was annexed by Prussia in 1866. Because of this I'm not even sure which nationality they held prior to Grand Duke Adolph succeeding to the Luxembourgish throne in 1890. Grand Duchess Maria Ana likely also gained citizenship upon her marriage to Grand Duke Wilhelm IV and the couple's daughters were born citizens of the Grand Duchy. A day prior to his wedding in 1919, Prince Felix of Bourbon-Parma, at the time (at least) a citizen of France, became a Luxembourgish national by decree. Many people opposed to him becoming a Luxembourger and Grand Duchess Charlotte marrying him in the first place due to his history in the Austrian army. It is, however, interesting to note that Prince Felix de Bourbon de Parme was naturalised not because the government necessarily felt that it was necessary for Prince Felix to be Luxembourgish to fulfill his role as Prince Consort. He was naturalised because under the citizenship law that was enforce at the time Charlotte, despite being Grand Duchess, would have lost her Luxembourgish citizenship upon her marriage to a foreign national. 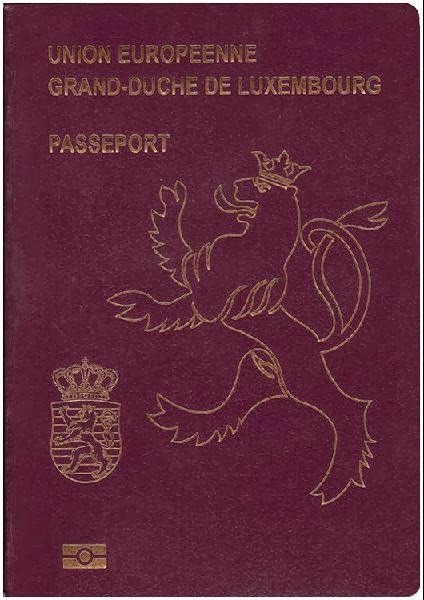 Naturalisation wasn't a common process at that time in the Grand Duchy and so Prince Felix became the only naturalised Luxembourgish citizen between 1914 and 1930. Last year, Hereditary Grand Duchess Stéphanie became the first member of the Grand Ducal Family to become a naturalised citizen of Luxembourg since Prince Felix in 1919. As she did not fulfil the requirements, such as living in the Grand Duchy for seven years, an act had to be approved by the Chamber of Deputies. On October 9, the law making Countess Stéphanie de Lannoy a Luxembourgish citizen was approved by the parliament. The following day it was approved by the Counsil of State. The law came into force on October 10 when the Grand Duke signed the act and his Minister of Justice counter signed (all acts signed by the Grand Duke require ministerial countersignature). At the time, there was some criticism about the decision though it was quite obvious that most of the people criticising the decision, simply used the chance to voice their own opinions and advertise their agenda. While one can argue whether seven years of residency is the appropriate number of years for a person to be allowed to apply for Luxembourgish citizenship, it seemed lost for certain people that the Hereditary Grand Duchess was never a normal case but that the heir's wife has always been in a special and unique situation. She regularly represents the Grand Duchy of Luxembourg at official functions abroad and travels as part of diplomatic missions. Should she do that as a Belgian citizen? Or should she refrain from any work in relation to the Grand Ducal Family within the past and the six upcoming years and given the same amount of time as any other person to integrate into the country and learn the language? I could never see the point in complaining about giving her "special status" when everything about her situation and her marriage is special. In difference, there is Princess Claire. Her new husband, Prince Félix, has almost no official role in Luxembourg. To the best of my recollection, I cannot remember him solely representing the Grand Duchy in any official function abroad -- No, I do not consider visiting Paris for the last stage of the Tour de France and drinking a beer with the Schleck brothers an official function and neither it is a state function to attend the anniversary celebrations of a private university. And, I highly doubt that will change anytime in the near future. For now, Prince Félix and Princess Claire have decided to live in France where they will be running a vineyard. If the proposed changes to the citizenship laws go through in Luxembourg, there will be an easy way for Princess Claire to obtain citizenship of the Grand Duchy in the years to come. The changes propose that the spouse of a Luxembourgish citizen will be allowed to obtain citizenship after only three years of residency in the Grand Duchy and if the couple has a child (that holds Luxembourgish citizenship), residency will not be required anymore. The same will then also apply to Archduchess Kathleen and Archduchess Adélaïde, the wives of Archduke Imre and Archduke Christoph who are apparently both Luxembourgish citizens, as well as any future spouses of the other children of Princess Marie-Astrid, Prince Jean and Prince Guillaume.